Bloggers, Become Official! Author Central Looking for Blogger Sites? Are you part of #MysteryThrillerWeek yet? If you’re not on this Official Blogger list, you should sign up for MTW and get exposure to authors and fans! MTW also has plans to push traffic to your blog during the free online February 12-22, 2017 international MTW event. Exciting News – You won’t have to wait until 2017 for the exposure your blog needs though. Right now, Authors can contact you, and you may contact them for guest posts, book reviews, and other creative blogger ideas. 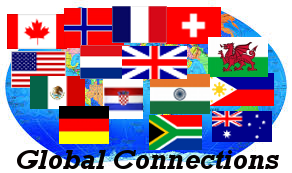 Don’t miss out on the event that already spans 5 continents and scads of countries! Sign up below and check out all the bloggers already on the list below. Source: Author Central looking for blogger sites? When I started writing A TIME TO KILL thirty-two years ago, I had no fantasies of producing a New York Times Bestseller. I simply believed I had a good story to tell. As it turns out, I could barely give the book away, and eventually resorted to selling most of the 5,000-copy print run out of the back of my car. A lot of water has passed under the bridge since then, and I am pleased to report that my latest novel, THE WHISTLER, is a #1 New York Times Bestseller! What’s more, it’s also a #1 Indie Bestseller, which means that a lot of local bookstores took a chance, ordered up a bunch of copies of the book, and thankfully sold a bunch, too. There are two constituents that deserve my thanks for this happy situation. First: you, my readers. You’ve stuck with me over the years. I’ve thrown you a few curve balls, that’s for certain, straying from legal thrillers to write comic fiction, sports novels, nonfiction, and even short fiction. Undaunted, you’ve returned again and again to read the stories I have to offer. For that, I am grateful beyond my abilities to fully express. Second: book retailers in all their forms, shapes and sizes. Though they may not all look alike, they share one thing in common—every one of them is an unrepentant book lover. They run businesses, for sure, but the fact that they chose the business of books makes them exceptional—and perhaps a little crazy! So, while I am delighted and honored to see THE WHISTLER at #1, I am most grateful to my readers and to booksellers across the country who inspire me to keep telling good stories. If you are a Blogger and you want to connect with authors, readers, and other reviewers, then Mystery Thriller Week website has the answer for you! We are in the planning and organization phases of the inaugural 2017 Mystery Thriller Week slated for February 12 – 22. Our goal is to connect industry enthusiasts of all media together, and as a blogger, you can benefit. Prizes will be awarded for 1st, 2nd, and 3rd place for most reviews posted linking the Mystery Thriller Week website. Mystery Thriller Week wants to spend quality time with you that will be filled with education, connection, collaboration, contests, reviews, interviews, and downright mysterious and thrilling fun! Please repost and invite your friends. This event will NOT disappoint!